This 12 Gauge 2-Conductor Direct Burial Speaker Cable include 168 strands of pure, oxygen free copper for the highest quality signal transfer, even in long runs. 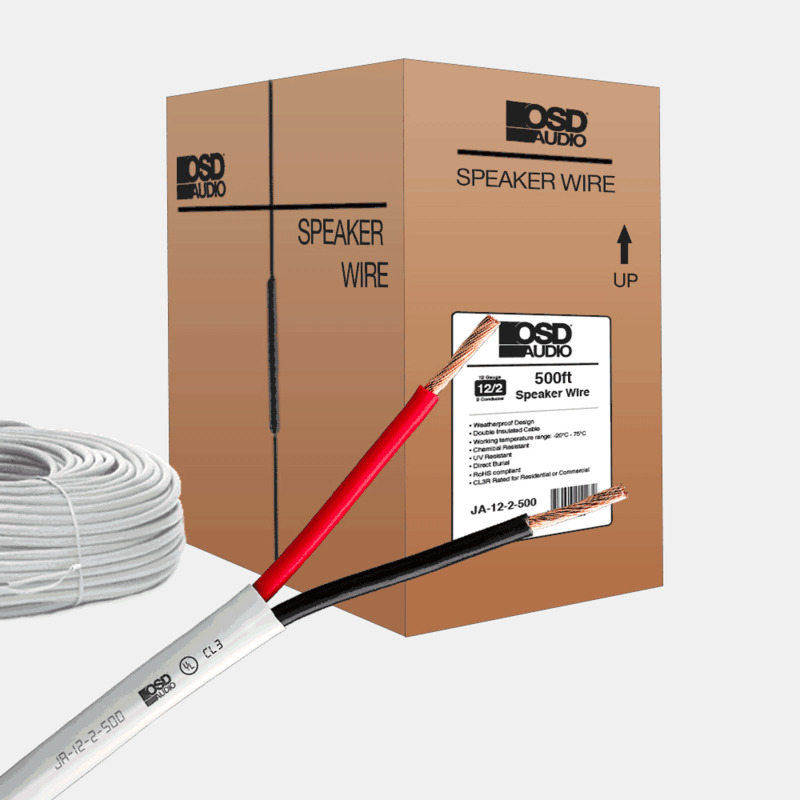 Perfect for outdoor speakers, low voltage lighting and other direct burial applications, the cable features a specially formulated white polyethylene jacket that is U/V resistant and provides protection against water damage. This cable can take rough climates and still produce audiophile grade sound. A reasonably priced alternative to Monster® Cable. This wire is perfect for outdoor speakers, low voltage lighting and many other outdoor or direct burial applications. The cable features a specially formulated white polyethylene jacket that is U/V resistant and provides protection against water damage. The audiophile grade wire contains 105 strands of 99.9% pure copper conductors. The high strand count provides improved skin effect. Hi. I will buy an ACE850 speakers for a home cinema using a video projector in my house, I will used in the wall, which is the better cable that you recommend me to buy? 12, 14, 16? What referenci? Thanks. I have researched OSD 12 gauge two strand wire for some time now. I've talked to many experts in the sound design field who have told me that anything over 80 foot would require a 12 gauge wire for efficiency and less resistance. I am running about 85 to 115 feet of wire x4 channels in one location. (Across from main patio)(57ft x 14ft pergula) and a 40x10 by 40x8 L shaped main patio, in which my cabinet and equipment will be stationed. 4 speakers will be for sure with an optional 9th speaker possible. I live in Phoenix AZ, so yeah heat is a issue.... Now, should I run 14 gauge, or stick with 12? I am running an amp at about 115 watts per Channel x 7 with a later expansion of 2 more channels for a total of 9.2. Power amps might be added later and I'm definitely going to have a bunch of cooling fans. 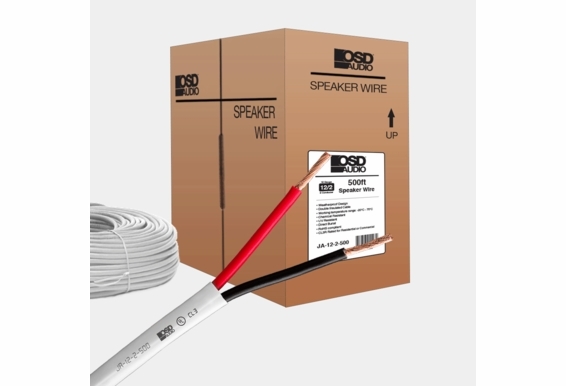 How is this different than CL3 in wall rated speaker wire in terms of direct burial? Is this speaker cable shield so that it can be used in walls also? Sounds great but I need a very basic spec. Cable outside diameter? I have sections that have to go through conduit before the direct burial. Need the normal info to determine conduit fill code requirement. I find if difficult to believe this important information is not shown somewhere very easy to find. As I'm sure I'm just overlooking it. Thanks! Does the 12 gauge speaker wire come in a 4-conductor model? Hello, No - our 12 gauge is only available as 2-conductor. We do have 14 gauge 4 conductor wire that is good for runs up to 200ft. I want to put the cable in a pvc conduit to further protect it. How thick is the cable in diameter? Need to decide what size pvc to get. Thanks. what cable labeling does the direct burial wire have on it? will it indicate that is is a direct burial wire to satisfy my local electrical inspector?? how does this wire stand up to ocean salt air(condo near the ocean) and how does the sound quality compare to monster cable?